Anger and frustration are universal human emotions, but that doesn’t mean you have to be a victim of negative feelings. As adults, we have an obligation to our family and ourselves to avoid allowing our emotions from getting the best of us. Let’s face it. Parenting is tough! When you simply want to pee alone or take a shower for more than two minutes without hearing little footsteps outside the curtain, it can be incredibly frustrating. Or, when you’ve told your child for the gazillionth time to turn off the light when they leave a room, it can make you want to pull your hair out. One way that many parents express their anger and frustration is by yelling at their kids. It’s not because they want to necessarily, but because sometimes they get so overwhelmed, they lose control. Other times it may just be easier to holler than to learn strategies to become a calmer parent. Studies show that yelling makes children more aggressive, physically and verbally. As a parent, raising your voice to the point of screaming scares children and makes them feel insecure. It has been shown to cause long-term effects, such as anxiety, low self-esteem, and increased aggression. A parent who is calm is reassuring, which makes children feel loved and accepted in spite of bad behavior. 1. Consider the negative consequences of expressing anger. It’s tempting to run with your exasperation in the short-term, but giving in to rage can cause even more challenges. Before lashing out at your kids or taking what you consider to be appropriate actions, consider how things will be when the smoke clears. 2. Give yourself a timeout. Timeouts aren’t just for young kids. Adults also need timeouts or short breaks to calm down. Taking deep breaths, give yourself a few minutes to allow a level of reason to return to your mind. You’ll be in a better place to make appropriate parenting decisions. 3. When appropriate, let your family members be wrong. It’s not your job to prove that someone is wrong; just allow them to be mistaken. If you have a strong desire to show them that they’re incorrect, that’s your ego barking. Of course, it is your responsibility as a parent to educate your children between right and wrong. At the end of the day, however, you cannot control the choices they make and ultimately they will have to learn from the consequences when they experience errors in judgment. 4. Decide which is more important: being happy or being right. Many arguments are the result of the desire to be right. If you choose to be happy over winning every heated discussion with your kids, your life will be more enjoyable, and you will become a more relaxed parent overall. Which is more important to you? 5. Take a minute to notice your anger. Instead of mindlessly reacting to your frustration, take a moment to examine it. Pretend you’re a third-party witnessing your irritation and annoyance. What does it feel like to you? Where is the emotion coming from in your body? Is the feeling in your head, chest, or stomach? Has your breathing changed? Are your hands shaking or clenching? By disengaging from your anger, you can gain a different perspective and weaken your negative emotions. 6. Ask yourself why you’re upset. Did someone physically harm you? Did they let you down? Violate one of your values? Figure out why you’re frustrated, and you’ll be able to take the necessary steps to discover a solution. 7. Focus on the big picture. Imagine that you knew the world would come to an end next Friday. Would you be upset if your child didn’t hang his backpack? Of course not. 8. Look for solutions, rather than trying to make yourself feel better. Acting in anger is about making yourself feel better. 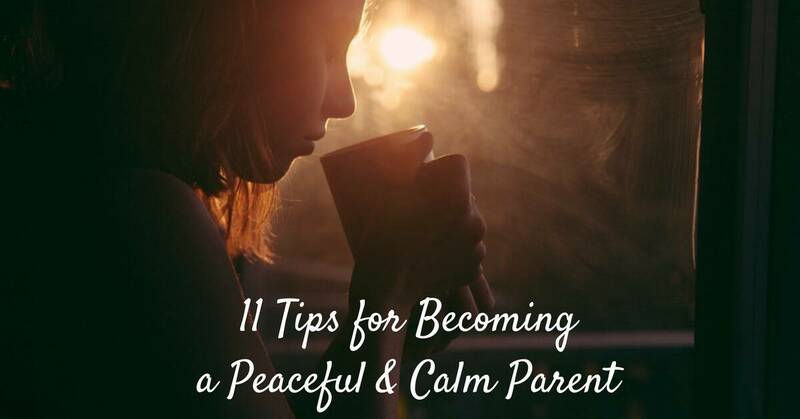 Rather than yelling at your kids, for instance, work on finding a peaceful solution. The outcome will be much better and well worth your time. 9. Be sure you understand the situation. Why get angry with your kids before you know the facts? Ensure the issue isn’t a possible miscommunication. 10. Learn and practice relaxation techniques. The more relaxed you are on a regular basis as a parent, the less likely you are to become angry. Relaxation techniques can also be helpful after the fact. Learn how to self-soothe. It’s a skill that can be learned. 11. See your annoyance as a practice opportunity to find peace. Each time you feel upset, view the situation as a chance to practice your anger-management skills. It’s a blessing in disguise. Commit yourself to manage this bout of frustration better than you did the last time. Avoid letting anger, frustration, and annoyance get the best of you. As a thoughtful, loving human being and parent, you have options available to you. Seek to find solutions and peace rather than giving in to your immediate impulses.